Medicare is an extremely complex and nuanced form of health insurance provided by the federal government for those 65 and older. But even though the program is rather complicated and daunting, it’s also very exhaustive in the options it provides potential enrollees—and one of those options is Medicare Part C.
Medicare Part C is, in short, a private insurance plan managed by the large federal umbrella of Medicare. It serves as a voluntary replacement for Medicare Parts A and B and provides health care coverage on par with both. 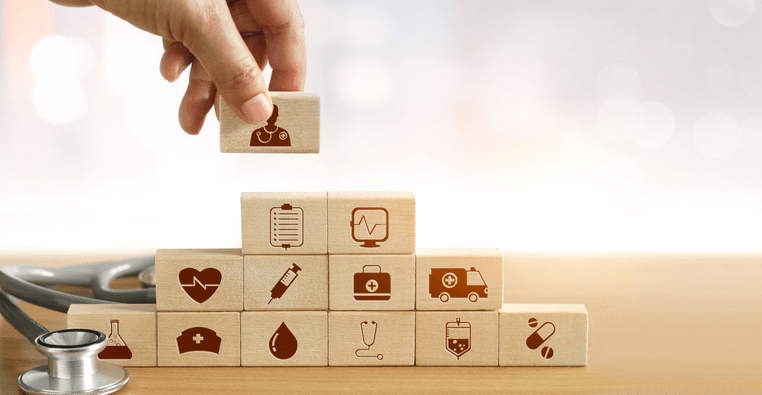 The advantage of choosing a Part C plan is cost, with out-of-pocket expenses generally coming in below those associated with Medicare Parts A and B. However, it’s also a slightly more complicated option that requires a bit more legwork and research on the part of the enrollee—and it comes with lots of potentially nuanced exclusions. Just like all forms of insurance, Medicare Part C isn’t right for everyone. If you’re interested in exploring a Medicare Part C plan for you or a loved one, this guide will help you understand what it is, what it covers and how to enroll. A Medicare Part C plan (which is also called Medicare Advantage) is a private insurance policy that replaces Medicare Part A and Part B. In other words, if you enroll in a private Medicare Part C plan, you no longer receive coverage through Medicare Part A or Medicare Part B. Even though they are funded by the private sector, Medicare Part C plans are regulated by the federal government, which requires every plan to provide at least the same coverage as the government-run Medicare Parts A and B. 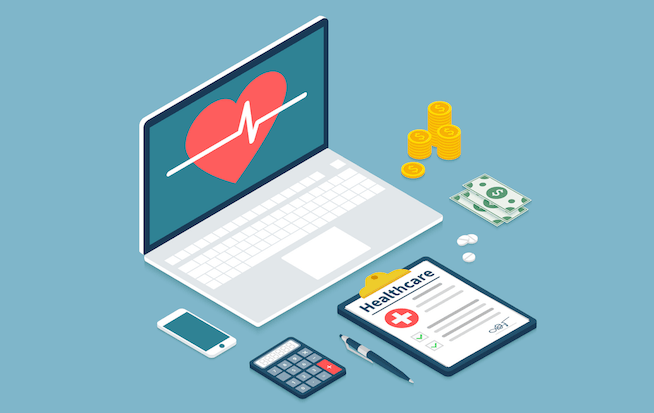 One of the key differences is that Medicare Part C plans eliminate some Medicare co-payments and deductibles, just as a Medigap insurance policy does. And like Medigap policies, Medicare Part C plans provide coverage for some gaps in Medicare Part A and Part B coverage. For that reason, if you enroll in a Medicare Part C plan, you don’t also need to buy a Medigap policy. So why should you consider looking into Medicare Part C plans? First of all, Part C plans offer slightly broader coverage than Medicare Part A and Part B. But the main benefit is cost. Total out-of-pocket expenses with a Medicare Part C plan are usually lower than expenses with the combination of traditional Medicare Parts A and B plus a Medigap insurance policy. But there are also real disadvantages with Part C plans, which are outlined below. Who’s eligible and what types of plans are included? If you’re eligible for Medicare Part A and Part B, you can join a Medicare Part C plan instead. To join one, though, the plan’s insurance company must be offering it in the region—usually a county or group of counties—where you live. And that particular plan must be accepting new enrollees. 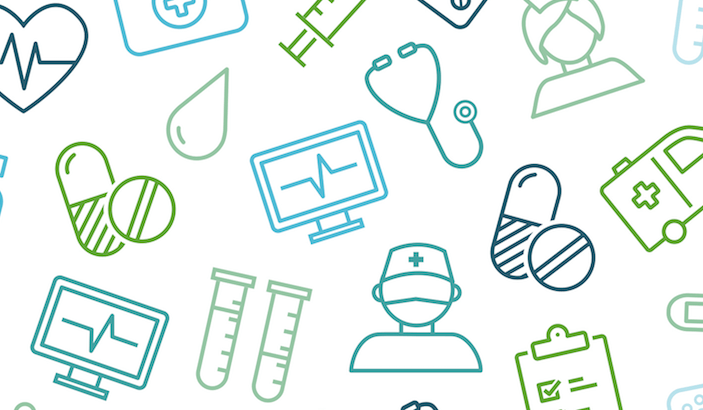 There are several kinds of managed care plans, but they all operate under the same basic rule: You get full coverage only if you see a healthcare provider who is a member of the plan’s “network.” The most common, least expensive, but most restrictive Medicare Part C managed care plans are health maintenance organizations (HMOs). There are also Medicare Part C preferred provider organizations (PPOs) and Part C HMOs with a point-of-service (POS) option that add certain variations to basic HMO rules. A Medicare Part C fee-for-service plan works differently than a managed care plan, without the same “network” limitation of managed care. Instead, a Medicare Part C fee-for-service plan allows you to see any provider, but only if that provider accepts the plan’s restrictions on the particular medical service and accepts the amount the plan is willing to pay for that service. How does a Medicare Part C managed care plan work? Medicare Part C managed care plans are required to cover any medical service that would be covered under Medicare Part A and Part B. Also, many Medicare managed care plans add some coverage (though usually not much) that isn’t covered by Part B. Each plan decides what extras it will offer (see “Do Medicare Part C plans offer broader coverage than Medicare Part A and Part B,” below). To get coverage from a Medicare Part C HMO plan, you can obtain care only from doctors, hospitals, and other healthcare providers who belong to the HMO’s official “network”—meaning providers who are under contract with the HMO. A Medicare Part C HMO plan won’t pay for care by a specialist unless referred by your HMO-network primary care physician. Under a Medicare Part C HMO plan, you might not be covered for certain kinds of care unless the plan approves that care in advance. You have limited rights to appeal a decision made by the Medicare Part C plan with regard to the care they won’t cover. Two other types of Medicare Part C managed care plans, slightly different from HMOs, are available in some places. One is an HMO plan with a point-of-service (POS) option; the other is a preferred provider organization (PPO) plan. With either of these Medicare Part C plans, you can see a provider outside the plan’s network, or see a specialist without first getting a referral—but the plan will pay a smaller amount of the bill. These plans are less common than Medicare Part C HMOs and might not be available where you live. How does a Medicare Part C fee-for-service plan work? Medicare Part C fee-for-service plans don’t restrict your choice of doctors to a specific network list, the way managed care plans do. With a fee-for-service plan, you can go to any doctor that participates in Medicare. And if your doctor refers you to a specialist, you don’t need the fee-for-service plan’s permission in order to get coverage. But Medicare Part C fee-for-service plans have significant restrictions of their own, which might make a Part C managed care plan better for you if your primary care physician and most other doctors in your area belong to that managed care plan. For each medical service you want covered, the doctor or other provider must accept whatever limits the plan places on the treatment; and the doctor must agree to whatever payment the plan offers. If a doctor doesn’t accept the plan’s terms and payment amount, the plan won’t cover your care from that doctor. Even though you’ve received covered care once, there’s no guarantee that the next time the plan will approve the same care or offer the provider the same payment. Similarly, a doctor isn’t required to accept the plan’s terms again, just because he or she did so before. So, with a fee-for-service plan, you won’t know until the time comes whether you’ll be able to get covered care from a particular doctor or other provider. Some Medicare Part C fee-for-service plans require you to pay a co-payment of up to 15 percent of the amount the plan approves for the particular service. Some fee-for-service plans have provider networks, just as managed care plans do. With these plans, you’re not restricted to network doctors or other providers, but you’ll pay a higher co-payment if the provider isn’t in the plan’s network. Do Medicare Part C plans offer broader coverage than Medicare Part A and Part B? With most Medicare Part C plans, you can get slightly broader coverage than with basic Medicare Part A and Part B. For example, almost all Medicare Part C plans cover routine physical exams. Some offer short-term custodial care—meaning nonmedical help with activities of daily life—in a nursing facility or at home, which traditional Medicare doesn’t cover. Also, some plans provide coverage for eye and hearing care, expanded physical therapy, chiropractic, and various kinds of preventive care that may not be covered by Medicare Part B. What do enrollees typically pay for a Medicare Part C plan? Some Medicare Part C plans charge no premium. However, you still have to pay Medicare Part B’s monthly premium; Medicare uses these funds to provide financial support to the Medicare Part C plans. Other Medicare Part C plans charge their own added monthly premium. This added premium, though, is usually substantially less than what you’d pay for a Medigap supplemental insurance policy. With a Medicare Part C plan, you don’t have to pay Medicare Part A and Part B deductibles and co-payments. But the Medicare Part C plans have their own deductibles and co-pays. So, when considering a plan, be sure to investigate these payments as well as the monthly premiums. What are the disadvantages of Medicare Part C plans? If you’re considering a Medicare Part C managed care plan, one of your first steps should be finding out if your regular doctors are in the plan’s network. If not, and you want to stay with your doctors, that plan isn’t a good one for you. If you’re considering a Medicare Part C fee-for-service plan, ask your regular doctors if they have any experience with the plan, and if so whether they usually accept the plan’s terms and payments. If not, that plan may not be right for you. Another problem with a Medicare Part C managed care plan can arise if you want to see a specialist. If the Medicare Part C managed care plan itself decides the specialist isn’t necessary, you’d have to pay for the visit out of your own pocket. Likewise, if the plan decides certain care not provided by your primary care doctor isn’t necessary—for example, extensive physical therapy or home healthcare—the plan won’t pay for it even if a doctor prescribes it. There might also be a problem with a Medicare Part C plan if you often spend time in more than one place—traveling, at a second home, or staying with other family members. Coverage by a Medicare Part C plan is usually limited to the region where you live. Outside the region, you’d be responsible for some or all non-emergency bills. Finally, there’s the risk that you’ll be dropped from a Medicare Part C plan. Over the past few years, many people with a Medicare Part C plan have suddenly found themselves without coverage when the plan decided to stop operations in their region. Plans regularly pull out of areas where their profits aren’t making them happy. If you’re dropped in this way, you aren’t completely out of luck—some other options are available—but scrambling for other coverage can be difficult and time consuming. Where can I get more information about Medicare Part C plans? But to know exactly what a plan offers and what all its costs and restrictions are, you have to contact the issuing insurance company itself and carefully read its written materials. You can get help deciphering plan materials by contacting your local State Health Insurance Assistance Program (SHIP) or Health Insurance Counseling and Advocacy Program (HICAP), which provide free expert assistance. Within six months of enrolling in Medicare Part A and B. Once you enroll in Medicare Part A and B, you have a six-month period in which you may join any Medicare Advantage managed care plan that is operating in the county where you live. In this period, a plan must accept your enrollment without any medical screening and on the same terms as for anyone else of your age, regardless of your medical history. During the plan’s open enrollment period. Every Medicare Part C managed care plan designates at least one month a year for open enrollment, if it’s accepting any new enrollees at all. Some plans have open enrollment for more than one month. During the open enrollment period, you can join the plan regardless of your medical history. Most plans pick November for open enrollment, with coverage beginning the following January 1. If you’re dropped by another managed care plan. Unfortunately, Medicare Part C plans regularly drop out of geographic areas that they don’t feel are profitable enough for them. If your plan is dropping out of the area where you live, it will notify you by October 1, effective the following January 1. You then have two options. You can rejoin traditional Medicare Part A and Medicare Part B, and if you do you are also guaranteed the right to buy a medigap supplemental insurance policy to fill gaps in Medicare coverage. Or you can enroll in any other Part C plan that’s operating in the county where you live and that isn’t closed to all further enrollment. You can join one of these plans from October 15 through December 7. If you’re moving out of the plan’s service area. Managed care plans operate within geographic areas. They aren’t required to continue covering someone enrolled in the plan who moves out of the area it serves. If you’re in this situation, you are guaranteed the right to join any Medicare Part C plan operating in the new area where you live, during that plan’s yearly open enrollment period. If there’s a gap between when you move and the open enrollment period for the new plan you’d like to join, you’ll have to use traditional Medicare Part A and Part B in the meantime. Like so many types of insurance, not all Medicare Part C plans are created equal. Each one is tailored to the needs of its regional demographic and the restrictions imposed by local health care providers. If you’re considering a Medicare Part C plan, here are eight key questions to consider before making a final choice. Does the plan’s network include a wide selection of nearby specialists? You should consider not only whether your current doctors are on the network list but also whether the network includes a wide selection of specialists near where you live. This is especially important in rural and suburban areas where the number of specialists may be limited. Although you may not need any of these doctors right now, the reality of aging is that specialists are likely to come into the picture sooner or later. Is the hospital where I would be admitted in the plan’s network? Not every hospital is in every Medicare Part C plan network. If your doctors refer their patients only to a particular hospital, or if your home is near only one good hospital, make sure that hospital is in a plan’s network before signing up with that plan. What are the plan’s total costs—premiums plus deductibles and copayments? A Medicare Part C plan may have a very low monthly premium, or even no premium at all. But that doesn’t tell you what the actual cost of the plan would be for you. Before enrolling in a plan, make sure you know whether you must pay the monthly Medicare Part B premium; what the plan’s own premium is; and what the plan’s copayments and deductibles are for inpatient hospital or nursing-facility stays, doctor visits, outpatient hospital visits (including the emergency room), X-rays, laboratory work, and physical and occupational therapy. Does the plan pay any amount for care from providers outside the network? Some Medicare Part C plans pay a portion of medical bills for service from a doctor or other provider who’s not in the plan’s network. Other plans pay nothing at all for care from outside the network. If a plan is otherwise attractive but its network doesn’t have an extensive roster near where you live, then its rules regarding payment for care outside the network might be an important factor in choosing whether or not to enroll. What services does the plan cover that Medicare doesn’t? One of the attractive features of most Medicare Part C plans is their coverage of medical care not covered by traditional Medicare. A plan that offers extra services that you regularly need—such as eye exams and glasses, hearing tests and aids, chiropractic, or dental care—may make that plan more attractive than a plan without such extras. What does the plan cover when I’m away from home? Do you regularly spend time away from home, either traveling, staying at a second home, or visiting family members? 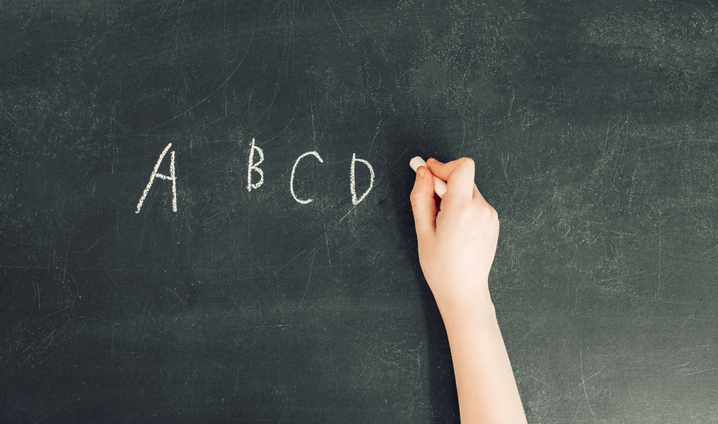 If you do, there are some nuances about Part C that you should understand. First, all Medicare Part C plans must cover emergency and urgent care while you are anywhere in the United States. However, there is no requirement that non-urgent care be covered, nor is there any required coverage outside the country. So, if you are often away, it’s important to learn what coverage a Medicare Advantage plan would offer. How does the plan compare to available Medigap policies? If you are considering a Medicare Part C plan, it’s a good idea to compare it not just with other Part C managed care plans but also with medigap supplemental insurance policies available where you live. Medigap policies coordinate with and supplement traditional Medicare, filling in many of the gaps left unpaid by Parts A and B. 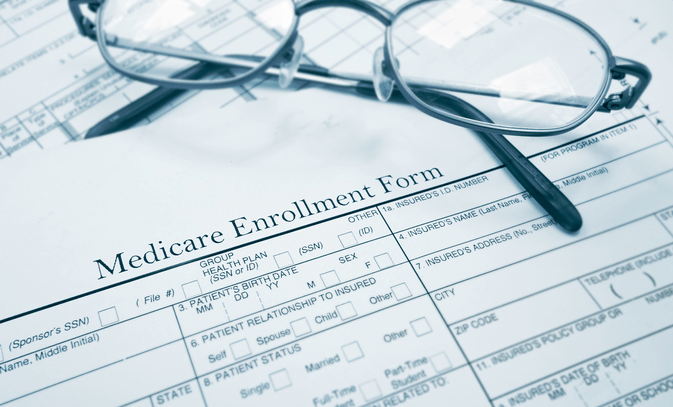 Some medigap policies also cover certain extras also offered by Medicare Advantage plans. So, before choosing a Medicare Part C plan, compare it side by side with traditional Medicare Parts A and B combined with each good available medigap plan; be sure to look at premiums, deductibles, and copayments, as well as coverage away from home and extra services not covered by Medicare itself.